At the most we gaze...in wonder, a kind of wonder which in itself is a form of dawning horror, for somehow we know by instinct that outsize buildings cast the shadow of their own destruction before them, and are designed from the first with an eye to their later existence as ruins. 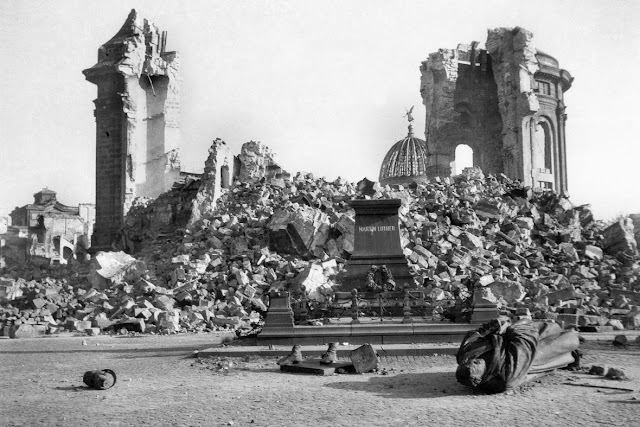 Image: Dresden, February 1945. Via this. See also these.